Dr. Spencer Barrett is the University Professor, Canada Research Chair, and Professor in the Department of Ecology and Evolutionary Biology at the University of Toronto. He completed his Bachelor of Science degree in Agricultural Botany from the University of Reading in England and received his PhD in Botany from the University of California, Berkeley before joining the faculty at the University of Toronto. Spencer has received many awards and honors during his career, including being named a Fellow of the Royal Society of Canada, a Fellow of the Royal Society of London, a Foreign Honorary Member of the American Academy of Arts and Sciences, and an Extraordinary Professor by the University of Stellenbosch in South Africa. He has also received the Lawson Medal from the Canadian Botanical Association, Premier’s Discovery Award for Life Sciences and Medicine from the Ontario Government, and the Sewall Wright Award from the American Society of Naturalists, among others. Spencer is here with us today to tell us all about his journey through life and science. Currently, Spencer travels over three months per year, and he loves exploring new places. When he’s at home, Spencer enjoys spending time in his garden with his wife. He is particularly fond of the tree peonies and primulas they have been growing. Spencer is an Evolutionary Biologist who specializes in ecological and evolutionary genetics, as well as plant reproductive biology. He also considers himself a plant explorer because he is able to go out to exotic places to find cool plants. As a kid, Spencer spent many family vacations camping and exploring the natural world. His parents were avid gardeners, so he was always surrounded by plants at home. During high school, Spencer had a wonderful biology teacher who often took the class out into the field to learn biology first-hand, and this had a major impact on him. Spencer’s interest in pursuing a scientific career was solidified in college where he was able to participate in a year-long research experience in Swaziland. Studying flowering plants has had its frustrating moments. On one occasion, he flew all the way to Panama to study a water plant species, but when he arrived the plants weren’t bearing any flowers so they couldn’t do their work. Similarly, Spencer went to South Africa for a sabbatical to study mirror image flowers when they should have been in bloom. The flowers he was after were nowhere to be found, so he pivoted his plans and ended up making an exciting discovery. During his PhD, Spencer had the opportunity to go to the Amazon with a plan to conduct his thesis research on the origins of weed plants in newly establish rice fields. While there, he stumbled across the missing reproductive form of water hyacinth that Charles Darwin had hypothesized should exist, but no one had previously seen. In fact, the first water hyacinth Spencer picked up just happened to be the mysterious missing form! Spencer’s favorite travel destination is the Cape in South Africa. He is particularly fond of the drive from Cape Town to Namaqualand during August and September when all of the flowers are in full bloom. In general, Spencer is delighted by the beautiful typography, culture, wine, and diversity of Cape Town. In the summer, Spencer often hosts parties in his garden with his lab, friends, and colleagues. He has an impressive collection of hats from his travels all over the world (about 120 specimens! ), and these frequently make an appearance at these garden parties. Spencer enjoys choosing hats out of his collection for his students to wear and has developed a fantastic hat game to play with guests. Don’t believe everything you read in scientific papers. Students in biology should make sure to consider the research questions they are examining within the context of the whole organism and natural history. Spencer received his BSc from the University of Reading in 1971. 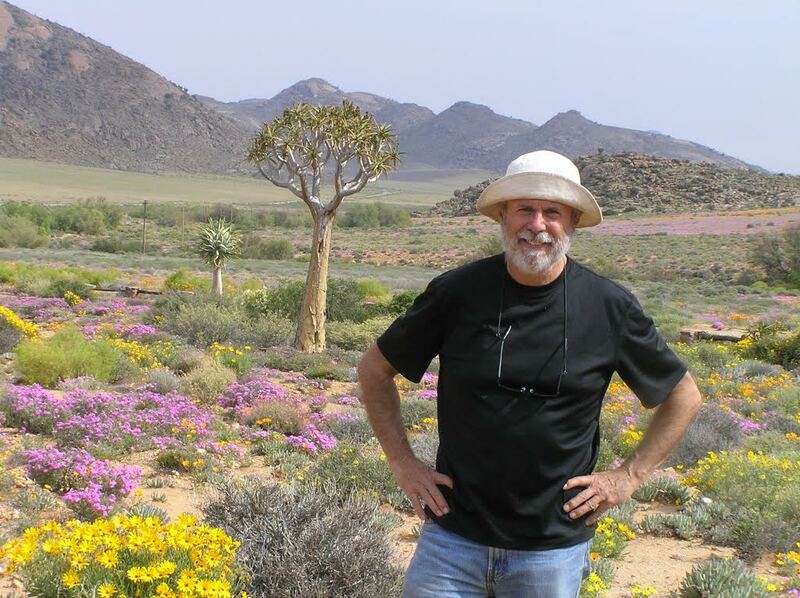 He worked as a weed biologist in Swaziland before moving to the University of California at Berkeley, obtaining his PhD from the Botany Department in 1977. In the same year, he was appointed a faculty member at the University of Toronto, where he is now University Professor in the Department of Ecology and Evolutionary Biology. Spencer is a leading authority on the reproductive biology, genetics and evolution of flowering plants. His primary areas of research are the mechanisms responsible for evolutionary transitions in reproductive systems and the ecology and genetics of biological invasions. Barrett has received several awards in recognition of his pre-eminence as both an evolutionary biologist and plant scientist. He is a Past President of the Canadian Society for Ecology and Evolution and the current Editor-in-Chief of Proceedings of the Royal Society of London, Biological Sciences. His hobbies are gardening, photography and travel and he enjoys the music of Brian Eno.